A ‘fill in the punctuation worksheet’ to get your friends on searching for their commas. Take a copy for each of your friends. Keep a timer ready. Decide the amount of time you will give to complete this worksheet. A minute or two should be good. The winner is the one who marks in the most correct punctuation. The prize? 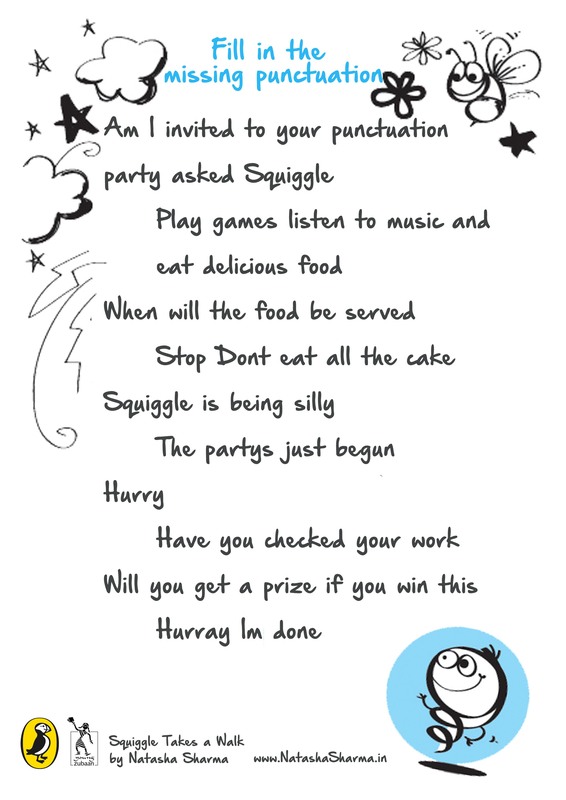 The book, Squiggle Takes a Walk!